Once you’ve purchased BusBoss route management software, you may access our no-cost, convenient online training center as a registered user. If you haven’t registered already, click here to sign up and receive your username and password. The first day of your route management software training is a high-level overview of how to lay out your map screen, save important data to your history, maintain school data, set snow days, select and locate addresses, maintain student data and assign students to bus stops. On the second day of your routing software training, you are shown how to set up user-defined fields by working with the look-up tables. You also learn how to maintain all of your information for buses, contractors, drivers, users, zones and bus stops. The third day of online training for your bus routing software takes you through the map functionality for locating your routes, streets, stops, addresses, schools, depots, transfers and landmarks. 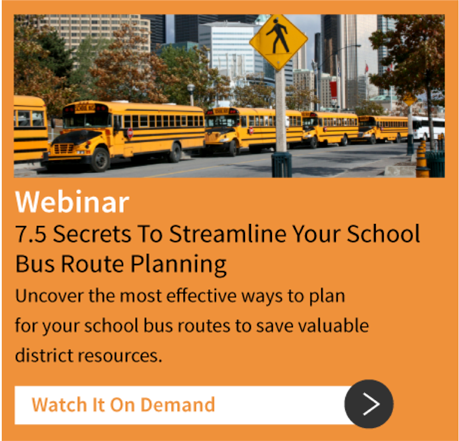 You also learn how to effectively maintain your bus routes. On the final day of your free online training, you get a closer look at the route management software tools for managing addresses, buses, databases, drivers, maps, routes, bus stops and students. This section also shows you how to import students and graduate students, as well as gives you an overview of the report generator and fleet optimization. Short how-to videos are also provided throughout the training. 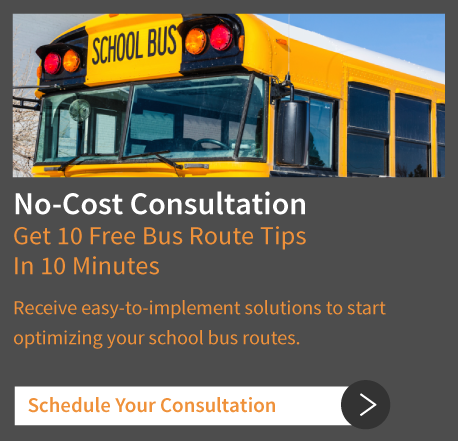 After each day of training, you may take a quiz to test what you’ve learned about using our school bus routing software. To log in to our route management software training site, or to register for an account, please click below.